Declaring that the church "isn't afraid of history," Pope Francis said Monday he has decided to open up the Vatican archives on World War II-era Pope Pius XII, who has been criticized by Jews of staying silent on the Holocaust. VATICAN CITY (AP) — In a story March 4 about Pope Francis opening Vatican archival documents on World War II-era Pope Pius XII to researchers, The Associated Press incorrectly cited the year Rabbi Arthur Schneier started leading a New York synagogue. Schneier has been senior rabbi of Park East Synagogue since 1962, not 1992. VATICAN CITY (AP) — Declaring that the church “isn’t afraid of history,” Pope Francis said Monday he has decided to open up the Vatican archives on World War II-era Pope Pius XII, who has been criticized by Jews of staying silent on the Holocaust and not doing enough to save lives. 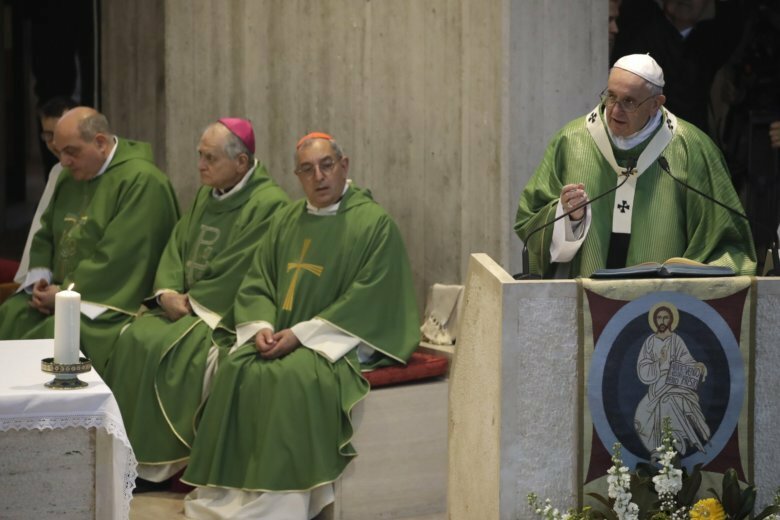 Describing that criticism as fruit of “some prejudice or exaggeration,” Francis told officials and personnel of the Vatican Secret Archives that the documentation would be open to researchers starting March 2, 2020. The move could speed up Pius’ path to possible sainthood, a complex process that in Pius’ case bore the weight of questions of what he knew and did about Nazi Germany’s systematic killing of Europe’s Jews. “The church isn’t afraid of history,” Francis told the archive staff. The archives “might also be a useful instrument on how to deal with dictators of our day who disregard human life, human rights and inflict suffering on their people,” said Schneier, who heads the Appeal of Conscience Foundation, which advocates for religious freedom and human rights. “It is particularly important that experts from the leading Holocaust memorial institutes in Israel and the United States objectively evaluate as best as possible the historical record of that most terrible of times — to acknowledge both the failures as well as the valiant efforts made during the period of the systematic murder of 6 million Jews,” Rosen said. Defenders of Pius’ wartime actions have noted that some convents and other religious institutes in Italy helped hide Jews, including during the Nazi occupation of his native Rome. It was during Benedict’s papacy that the Vatican in 2009 formally recognized the “venerable” qualities of Pius, an early step along the possible path to sainthood. Historians will also be keen on examining documents from Pius XII’s papacy in the years after the war ended in 1945. In 1983, the Vatican dismissed as “absolutely absurd” a claim in a Jewish magazine that the Vatican aided Klaus Barbie and other high-ranking Nazi war criminals in their escape from Europe, along with legitimate refugees, after the war. David Rising from Berlin and Josef Federman in Jerusalem contributed.